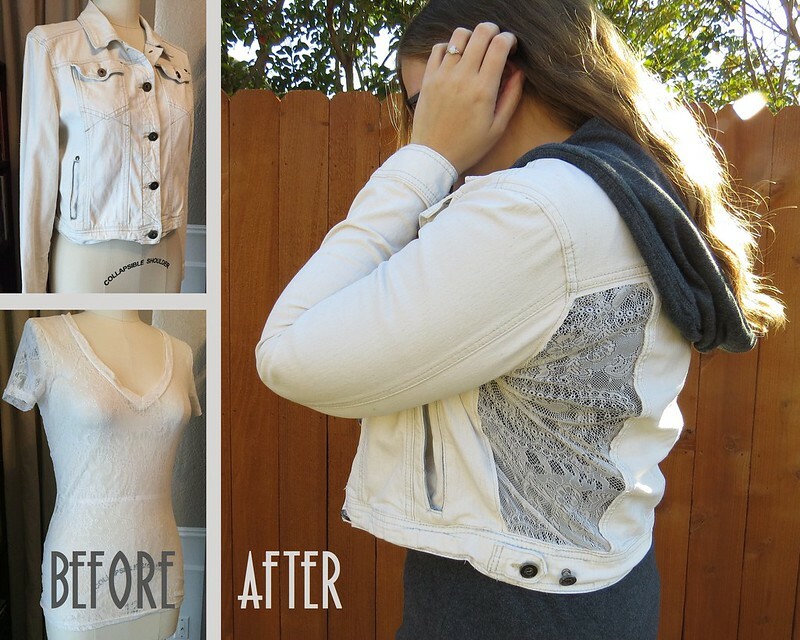 A couple years ago, I bleached a dated, striped denim jacket to create a fresh, white jacket. Sadly, and not surprisingly, I think the bleach probably weakened the fabric, and one fateful day, rrriiiiiippp went the side panel when I raised my arm. Not to worry! 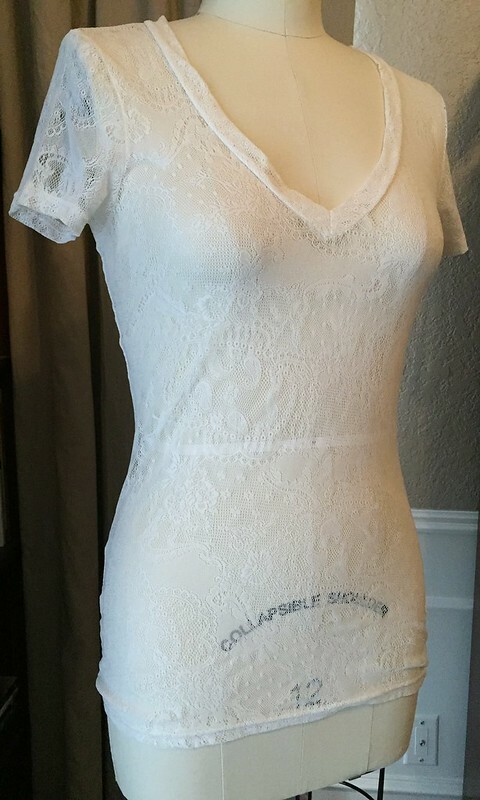 I've got a too-tight lace tee that'll fill in that hole nicely. 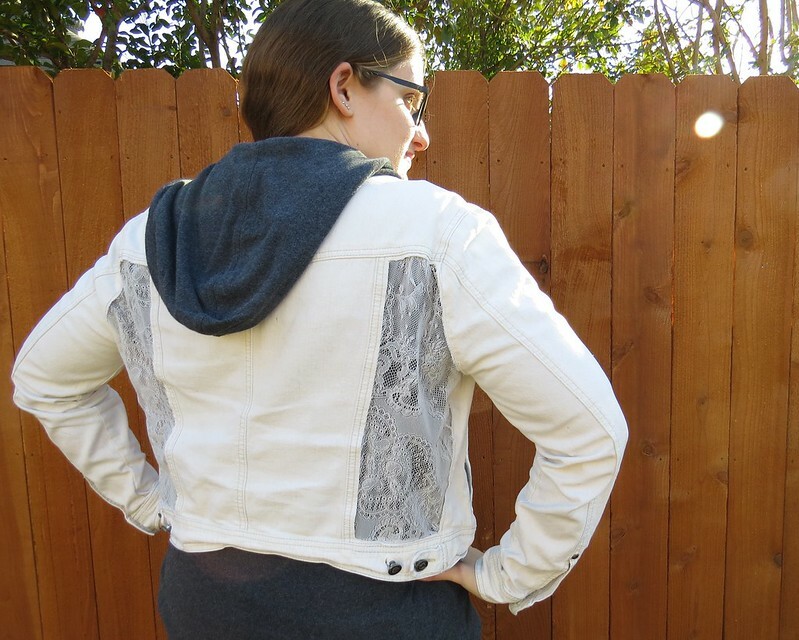 I snipped the damaged panel from the jacket and the same panel from the other side, leaving a bit of fabric around the edges that will fray nicely over time. Then I used the intact panel as a template to cut two symmetric pieces of lace. 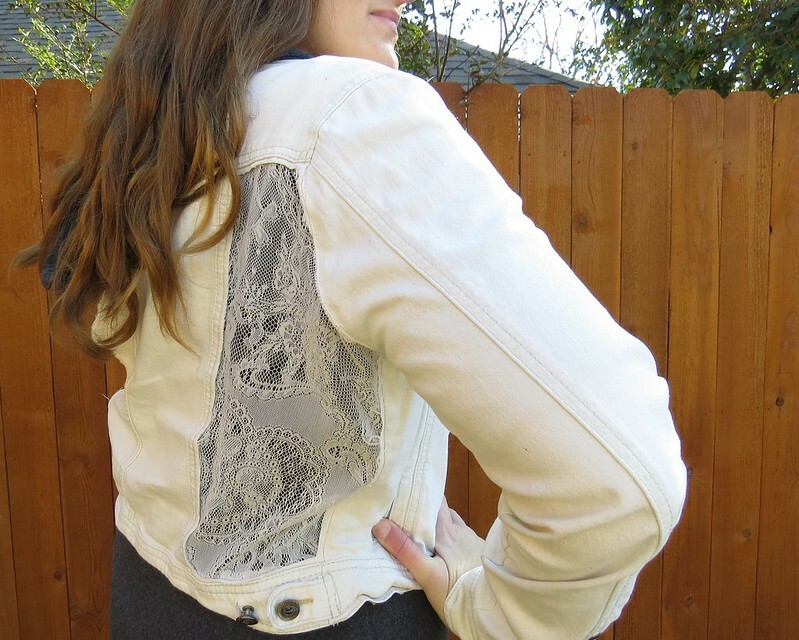 I stitched each lace piece to the inside of the jacket holes. 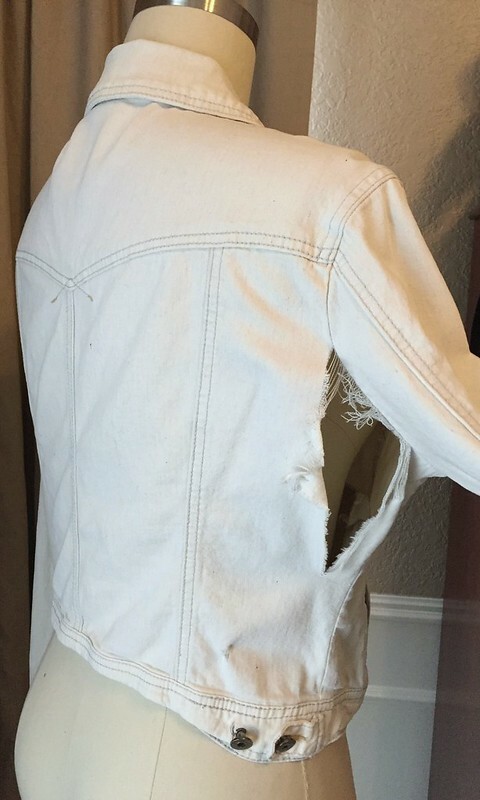 And just like that, my torn jacket was good as new! Better even! For more details and photos, visit me over at CarissaKnits! WOW! totally awesome reconstruction!!! :D haha built in ventilation system?! :P It looks great!